10:33 PM - cgilmo quoted gogosox40 in post What is wrong with the top of the page? 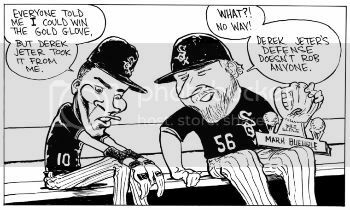 09:26 PM - gogosox40 quoted Letch77 in post What if MLB didnt strike in 1994........? 06:27 PM - Letch77 quoted gogosox40 in post What if MLB didnt strike in 1994........? 04:36 PM - Letch77 quoted gogosox40 in post What if MLB didnt strike in 1994........? 05:45 PM - Therion quoted gogosox40 in post Trying To Fund A Trip To The World Series. Autographs. Astros Lots. My Left Arm. 10:06 AM - gogosox40 quoted cgilmo in post Step Aside, Judy. Meet Aaron. 02:11 PM - gogosox40 quoted jbhofmann in post What card caused you to make an audible noise when you first saw it? 11:16 AM - WCTYSON quoted gogosox40 in post Step Aside, Judy. Meet Aaron.